Bad breath is an embarrassing condition caused by bacterias that breed beneath the surface of the tongue and often the throat area. It is important for you to fix it to prevent mouth odour. 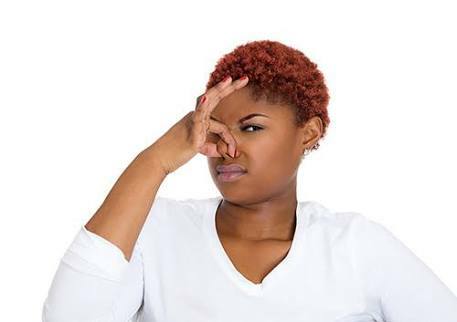 Jumia Nigeria shares 5 ways you can solve and get rid of the issue of bad breath. Drinking enough water is one of the simplest steps you can take to curb bad breath. When your mouth doesn't have enough moisture to produce saliva, odour-causing bacteria can develop. Cleaning your tongue can effectively decrease halitosis-causing compounds. These compounds form on your tongue and in your mouth when bacteria and amino acids combine, releasing an unpleasant smell. So cleaning your tongue regularly is important in fighting bad breath. Eating fibrous fruits and vegetables like apples, bananas, oranges, potatoes among others help moisten the mouth and remove the bacteria in the mouth, thus helping you get rid of mouth odour. Good oral care is another important way to deal with bad breath. So, brush your teeth at least twice a day (in the morning when you wake and at night before you sleep). It is very important you don’t neglect to brush your teeth at night because while you sleep little or no saliva is being produced. Use a mouth rinse after every meal. This helps reduce gingivitis and freshens breath. Mouthrinse alone is not an effective remedy but should be used in addition to regular brushing and flossing.